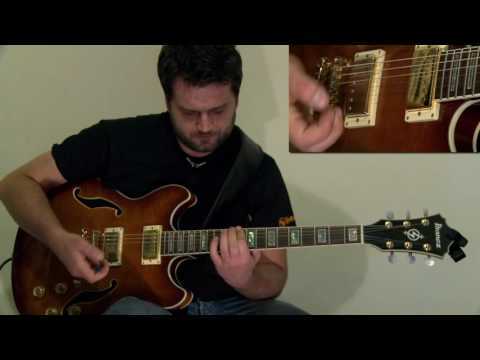 Spiros Karagkounis is a professional guitarist from Greece. At the age of 15 he picked up his first electric guitar , after that, his love for music became a way of life. In 2001 he moved to Athens in order to study music. Three years later he attended and completed a Rock course at the ‘Art Music School of Athens’. All the time, Spiros Karagkounis had proven to himself that he is willing and determined to work as hard as it takes in order to achieve his targets as far as his performance skills were concerned. His passion for music forced him to develop an individual approach and style on improvisation. In 2006 Spiros relocated to London in order to study and work as a professional musician in the London scene. He registered at the Guitar-X of London for further music studies. He graduated 3 years later getting his Bachelor (honors) Degree, In Music Performance & Composition. He draws influences from Guitar Greats such as Jimmy Hendrix , Albert Collins, Grant Green, Pat Martino, Wayne Krantz, and Scott Henderson. Spiros is currently performing with his own fusion trio ‘The Fifth Edition’ and other bands, working as a session guitarist, all around London.